Sunset over the University of Iowa campus. Public universities are generally funded by taxpayer dollars and the federal government. Contributions ultimately lessen the cost education for an individual, and help make a college education attainable for a greater whole. Tax revenues at the state and federal levels fell in recent years, and the share of tuition owed by students significantly increased — all while student loan interest rates skyrocketed. This recipe has decimated our youth. We afford children the right to a free, public education from kindergarten to 12th grade, but when they graduate high school, the benefits evaporate. The voting public and politicians have argued that college is no longer a right; rather, an earned privilege to a select few (who can afford it). Public institutions were supposed to be accessible and affordable to the people in state. Heck, there are land-grant institutions that were given vast acreages to educate future educations. Unfortunately, hawkish debt reduction tactics, private-interest groups, and misinformation campaigns created a climate that hated taxes — the consequence was the disintegration of our public universities. A subtle shift happened over the last few decades, and it’s led to a massive, business-like privatization and profit-motivated aire amidst public universities. Suddenly, administrators are aiming at your wallet, rather than their intended goal: educating the finest group of students for many generations to come. The painful revenue gaps have led to a rise in tricky tactics. State schools accept more out-of-state and international students for full-price tuition and limited scholarship availability. This move effectively subsidizes the education of in-state students. Although, by accepting more students outside the state, fewer in-state students are accepted. If you’re on the cusp of going to an out-of-state school, think about the price differential. Is it really worth the added tuition burden? For instance, my alma mater had an oft-ridiculed bachelor’s degree entitled, “Liberal Arts.” This degree is useful as a temporary placeholder for students, while they make final degree decisions, but should not be a formal track. Graduate with a degree in Liberal Arts and you might as well use it for toilet paper. Similarly, watch out for degrees in “General Studies.” Degrees like this simply milk monies from students and send them on their way without a lifeline. Avoid these at all costs! While these new architectural sights provide a heightened level of excitement to prospective students, they are only afforded through higher student fees and redirected public funds. Brilliantly upholstered and designed residence halls may attract new students, but everything has a price; last time I checked, enrollment and interest in college isn’t the problem, anyway. If you don’t want to come to a university because hotel-like residence halls are absent, you are likely going to college for the wrong reasons. Much like the cliche regarding books, don’t judge a university by its buildings. At a fraction of the cost to educating students on-campus, many public institutions have a growing body of administrators pushing for online education offerings. Stigma-be-damned, plenty of people are taking up the offer to be educated online. These institutions are frequently charging handsomely for the privilege of being educated online, and offer students little support when compared to their on-campus peers. Steer clear of most online master’s degrees that purport to give you credentials — all while you are pantsless in a bathrobe at home. While you may be able to say, “Your Name, M.S.,” you’ll be missing out on various networking opportunities and paying some of the most expensive tuition rates available. Most online programs offer little funding, and public universities use these programs to further subsidize in-state students’ educations. This is the scary one for me. It’s quite personal and disheartening that when I requested to get student loans, nobody ever explained to me how they worked. When I met to approve the federal aid a few years ago, I never had a human sit down with me and create a budget, set expectations, and explain how interest would quickly add up. While it’s my fault for not being more critical, I didn’t know what I didn’t know — the questions were not yet clear. Pay attention to financial aid officers at universities. They usually have no interest in curtailing or slowing your interest in finishing a degree. There goal is to get you federal or private funding and keep you coming back to school — period. If you’re looking for student loan advice, start researching the perils and pitfalls before signing on the dotted line. 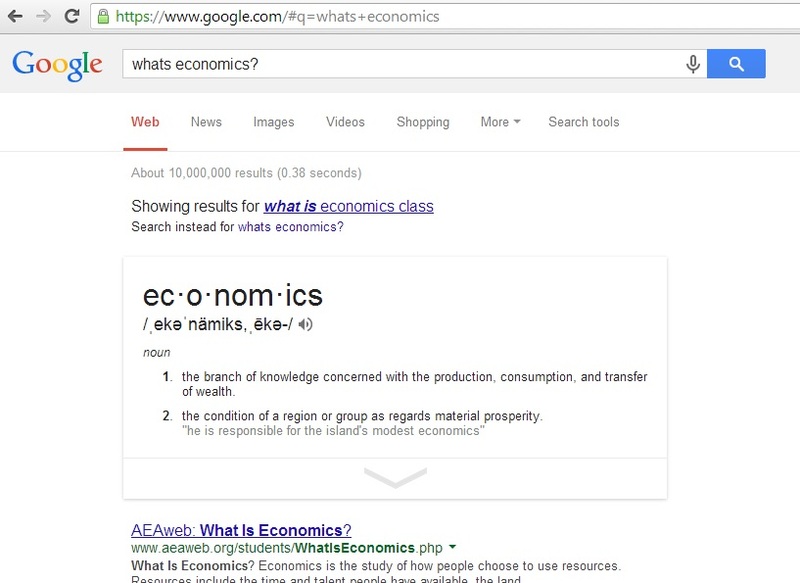 Why Are College Textbooks So Expensive In The Google Age? We live in the greatest information age ever. Bandwidth, storage, data, smartphones, and computers are cheap! With a carrier contract, you can have your first Android or iOS phone for free. For as little as $200, you can buy your first computer – brand new. These devices used to be expensive and less powerful – a luxury for the wealthy, subject of study in academia, or business tool. The decline in prices is largely attributable to Moore’s Law, which asserts that the number of transistors on circuits doubles approximately every 2 years. These advances have contributed to the accessible age for information – spanning vast income demographics and socioeconomic factors. Unfortunately, college textbooks haven’t seen these progressive declines that could attract larger audiences. Major publishers of textbooks (i.e., Pearson, McGraw-Hill, and Reed Elsevier) have long held dominant control of the industry. Despite vast sums of encyclopedic information moving to free sites like Wikipedia, these publishers have courted the strongest academics to publish on their platforms. With this control and profit model come crushing prices for students. Academics, largely coming from older generations – before the popularization of the Internet – are content with this publication model (or, they must be if they keep hawking them at the beginning of every semester). When they are recruited to write for these publishers, their knowledge is condensed, controlled, and synthesized. Unlike the Internet’s anarchic flow, an elite few choose what is shared. Most businesses follow free market principles of supply and demand, but the textbook industry doesn’t follow those same rules. Their supply is infinite and their demand is solely based on their marketing tactics to professors, and the network that professors have with authors. In turn, this stifles competition for pricing – making every book unique and “worth” a premium price. Publishers use rich text, color, paper, and often publish in hardcover. All of these materials are beyond necessary and contradictory to the principles of progress that are present in this information/Google age. The quality materials give even more reason for publishers to charge more for the college textbooks, but oftentimes you won’t ever reference the book again. If you are unlucky enough to buy a textbook during an edition update cycle, your $200+ purchase price may lead to an abysmal resale value. New editions are constantly released, usually with minor changes that are imperceptible to the casual reader. This forces students to buy newer and newer texts, and professors are encouraged to hawk these latest editions because they are given free instructor copies. Effectively, this artificially manipulates the supply for certain level textbooks. When new textbooks come to market, they can easily fetch nearly $200 or more. That’s 1000% more than most popular hardcover novels at Amazon.com. While the Internet has made for more free stuff than ever, textbooks seem to be stuck in the three-decimal price range. Technological advances seem to be overlooked when it comes to price considerations. Despite the significant, onerous budgetary demands that these expensive college textbooks place on students, professors seem happy to assign them as “required” for the course. Every class I’m taking this semester emphasizes the need for certain textbooks. It seems like professors willingly participate in this complicated price fixing. While technologies have improved, the prices of textbooks haven’t fallen. Moreover, even though ebooks and online books are becoming more popular, they are usually the same price or a smidgen cheaper than their concrete brethren. Unfortunately, this small price decline (sometimes) does not account for the fact that the digital textbooks cannot be resold. By purchasing an online book, you are limited to that world and restricted from recouping some of your losses. This semester I refuse to buy a single college textbook. It’s not that I believe we should abolish them, but make them more accessible. Even though I won’t purchase one this semester, I use every campus resource I have to get access to them. Thankfully, as part of the Big 10 system, I can request books from every library within the network. Did you get a free instructor copy of the text? Why are you promoting this particular text and edition? Are there any free methods (i.e., Wikipedia, online editions) to getting access to this information? Would you buy this textbook if you were taking this class? Will we actually reference from this throughout the semester? The budget doesn’t add up. In the simple equation of money minus time, there’s not enough of either. Personally, it’s the single greatest reason why graduate school is hard. As a graduate student in a traditionally debt-laden field, those around me seem to treat debt as the norm. But this de facto acceptance of debt – the status quo – is no longer tolerable. Maybe, despite all my efforts, I won’t be able to balance the budget. Maybe, despite all my efforts, the loans will grow – building on the principal and metastasizing into financial prison. Time to excise this. I’m done with debt. As the semester wraps up, this is an inherently challenging time to look for funding opportunities – especially scholarships. But I’m desperate, and thought a look would be worth it. Most of what I found appeared to be junk or spam-related entities looking to get your email address and have you register to signup for a “No Essay” scholarship. Nonetheless, I decided to apply to everything I could in one day. Here’s what happened. My search started and ended at FastWeb.com (Link). While this may be a great resource for a scholarship search, it’s congested with spammy advertisements for companies and colleges that will bleed you dry. In between the advertisements, there are decent scholarships. The end of spring semester is hardly a great time to start applying for scholarships, but that is all part of the experiment (look back in the fall to see what new numbers I put up!). There are very few scholarships for those in graduate studies. This, with the bad timing of the application cycle, made for a rough start. After a little while I narrowed it down to a few scholarships that were relevant and I could actually apply to. Then, I began. In the course of 70 minutes, I applied to 7 different scholarships, which totaled $50,500. Most of the applications were short, no essay, monthly giveaways that felt like I was entering a hopeless sweepstakes. But a few of them seemed to have potential, and even made me think about what I truly believed via the essay. Over the next few months I will be scanning the web for new scholarship opportunities, and I’ll keep you posted if I receive some good news.